Drift with me through the streets, hillsides and waters of northern Vietnam on the “Get Wet, Go Wild” tour, offered by Vietnam Backpacker Hostels! Catch a glimpse of Hanoi’s top attractions: Quan Thanh Temple, St. Joseph’s Cathedral and the West Lake. Then hop on board a junk boat to cruise past the cliffs of Ha Long Bay. Throw in a bit of swimming, kayaking, rock climbing and beach volleyball for good measure. Lastly, journey inland to the rural Mai Chau Valley, home to breath-taking, emerald rice paddies and towering, dramatic peaks. After a long winter, spring has finally sprung here in Seoul. But it won't last long so be sure to get out and enjoy it while it does. Here are a few of my favorite springtime activities to partake in here in Seoul. I'm pretty sure you'll enjoy them just as much as I do! Perhaps no other symbol is as representative of Korean spring than the cherry blossom. And while they might not stick around for an extended amount of time, they are most definitely a sight to behold and seeing them in all their glory should be at the top of your travel itinerary. Is the weather not glorious right now?! In sunshine like this, I refuse to be inside for any longer than I absolutely have to. This includes for meals. In fact, one of my favorite things to do in this weather is picnic. 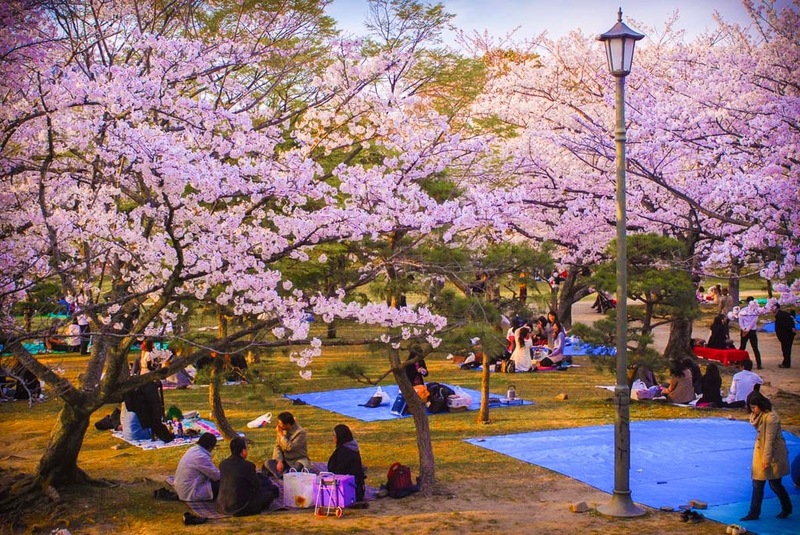 And with all the great green spaces the city has to offer (like Naksan Park, the Han River and the Dream Forest), a picnic can be had just about anywhere. Traveling in Korea doesn't have to break the bank. It's also easier than one might imagine, even for foreigners. Especially for foreigners. In an effort to increase tourism in their regions, many provincial governments have begun to offer special services to international guests. Lucky us! One such example is the Gangwon Shuttle Service sponsored by Gangwon Province. This shuttle bus is a great way for foreigners to experience Korea's most breathtaking natural landmarks as well as some of its best festivals. I've said it before and I'll say it again. Korea in fall is a sight to be seen. There are plenty of places to experience all the wonderful things about the season, but there is one special destination that allows visitors to experience autumn in all its glory: Seoraksan National Park.